How do I register Filmora for mac? How do I trim the video? As the package is just a plug-in of Filmora, so please be prepared before you download the pack. A.You have downloaded and installed Filmora first. If not, please click here to install it. B.It requires V6.9 or later to install the pack. So click here to ensure you are using the latest version. C.Please close Filmora for mac before installing the pack. When everything above is set, please go to our official website to download the pack. After you download the package, please double click it to start installation. 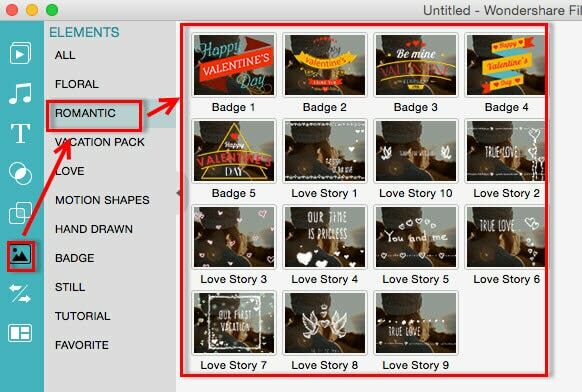 After installation, please press OK button to launch Filmora app and find the new effects in “Romantic” category of Music, Text/Credit, Overlays and Elements.